Three of Motherwell’s loan players were in action for their teams on Saturday. 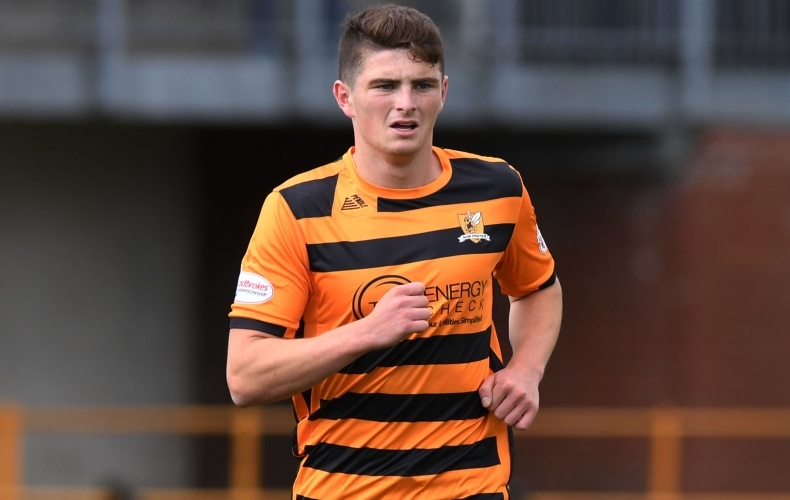 In the Championship, Jake Hastie got the most minutes as he played the first hour of Alloa’s 2-0 defeat at home to Falkirk. Former ‘Well player Deimantas Petravičius got an assist in the game, as the Bairns got their first league win of the campaign to pull level with the Wasps. Ross MacLean came on as a substitute for Morton as they suffered a crushing home defeat to table toppers Ayr United. The forward played the final 35 minutes as the Ton went for the kill at 1-1, only to lose four goals between the 73rd and 89th minutes to lose 5-1. In League Two, it was set up to be a battle of Neil McLaughlin against PJ Morrison, as Stirling Albion faced Albion Rovers at Cliftonhill. McLaughlin though didn’t feature, leaving it to Morrison to turn in an impressive showing as the Wee Rovers ran out 3-0 winners. Motherwell travelled to Kilmarnock on Saturday looking to build on a battling showing in the midweek cup defeat to Hearts. This is the Story of the Match from the trip to Rugby Park. 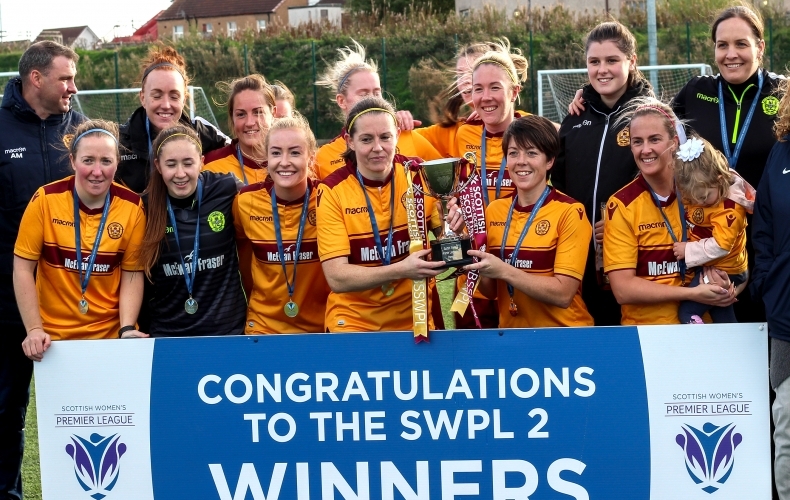 Motherwell were unable to mark being presented with the SWPL 2 title with a victory, after being held to a 1-1 draw against Hearts. Kerry Montgomery opened the scoring after 10 minutes, before former ‘Well played Pamela Liddell levelled early in the second half. It was the first time this season Donald Jennow’s side have dropped points at home this season and the first time they have failed to win after opening the scoring. The hosts started brightly, and Suzanne Mulvey came close in the first minute before Sammy Hare headed just over the bar five minutes later. ‘Well were rewarded for their early attacking threat when Montgomery swept the ball home from close range after Mulvey had struck the post. Kendall Welsh in the Motherwell goal was forced into a brilliant stop on 20 minutes to deny Liddell a leveller, but it was the home team who continued to enjoy the better of the chances. Sammy Hare rattled the post and then the bar within the space of a frantic few minutes. Normally so clinical in front of goal, the striker was clearly frustrated she had failed to find the net when particularly on the first occasion it almost looked easier to score than miss. Hayley Cunningham and Lauryn Reside both passed up chances before Hare again was unable to convert a good scoring opportunity, firing high over the bar on the stroke of half time. The driving wind in the second half made playing any sort of football difficult and Motherwell struggled to maintain their attacking threat of the first 45. The equaliser arrived on 55 minutes when Liddell latched on to a through ball and finished with great composure. Following the Hearts goal the game was thrown wide open as a contest, but chances were at a premium. Hayley Cunningham’s low drive drifted just past the post and, at the other end, Liddell couldn’t find the target after bursting through the ‘Well defence. The last big chance of the match came when Mulvey managed to breach the Hearts backline. But her final touch was heavy, allowing Jambos keeper to bravely intercept and ensure the score remained level. It wasn’t the result that the women of steel hoped for, but it didn’t hamper their post-match celebrations in which they finally got their hands on the title. Motherwell return to action in two weeks, when they face Spartans at Forthbank with a place in the final of the SSE Scottish Women’s Cup up for grabs. We’re giving away free tickets to the owners of our club. To thank all of Well Society members for their fantastic support, each member can get a complimentary ticket to the match against Livingston on Saturday, 6 October. Society members who are season ticket holders or already have a ticket for the match can bring along a friend for free. 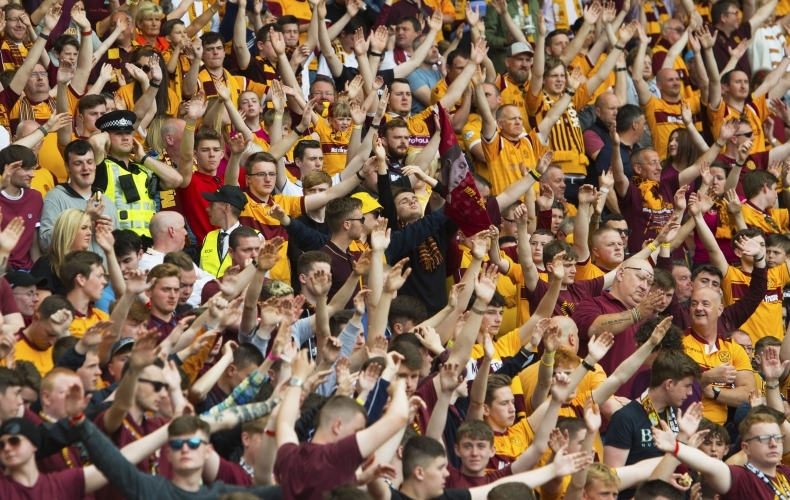 To claim your free ticket, simply come to the ticket office at Fir Park before Thursday, 4 October before 5pm. If you haven’t yet joined the Well Society, you can join us from just £5 per month here. 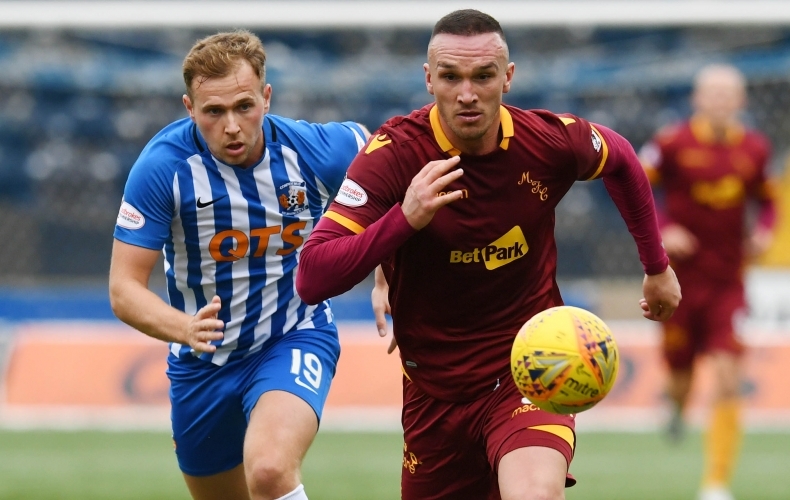 Watch the highlights from Rugby Park as Motherwell slump to a 3-1 defeat against Kilmarnock in the Ladbrokes Premiership. Carl McHugh, Chris Cadden and Aaron Taylor-Sinclair reflect on a disappointing day at Rugby Park. Deapite going a goal up, the Steelmen fell to a 3-1 defeat against Steve Clarke’s side. Stephen Robinson was left frustrated by a poor second half showing as Motherwell slumped to a 3-1 defeat against Kilmarnock. The ‘Well boss felt the hosts had the quality needed to win the game and was disappointed by his side at Rugby Park. Motherwell surrendered a one-goal lead as they lost 3-1 at Kilmarnock in the Ladbrokes Premiership. Curtis Main opened the scoring for a visiting side who flew out of the starting blocks. But the striker would then miss a penalty soon after that the Rugby Park side took advantage of, with Chris Burke, Greg Stewart and Eammon Brophy all netting afterwards. Stephen Robinson made one change from the team who battled but lost out late in the cup to Hearts in midweek. Allan Campbell dropped to the bench, with Aaron Taylor-Sinclair coming into the side. Kilmarnock were without the hero of their win last weekend over Celtic, with Stuart Findlay dropping out of the team altogether. Scott Boyd came in in his place. Motherwell started the brighter of the two sides, launching ball after ball into wide areas to try and build attacks. The first big chance of the game would fall to Grimshaw. A cross from the right found him in plenty space at the back post but the ball just wouldn’t sit right quickly enough, allowing the defender to get back across and stop him from getting a shot away. ‘Well would make no mistake with the next. A long ball forward was brilliantly met by the flick of Bowman 40 yards from goal. Anticipating his strike partner winning the ball, Main made an excellent run in between the centre backs to collect the through pass. Bearing down on goal, it looked as though Boyd might just get there in the nick of time but the striker picked his moment perfectly, rifling the ball under the dive of MacDonald into the bottom left corner of the goal to open the scoring. Motherwell continued their control on the game and, mounting attack after attack, they were awarded a penalty when Taylor-Sinclair was felled in the box as he found himself with space for the shot. Main stepped up to try and get his second in quick succession, but his low penalty to the right was read perfectly by the goalkeeper, who dived low to collect. Spurred on by MacDonald bailing them out, Killie came flying out of the traps and they came within a whisker of an equaliser with 25 minutes on the clock. A corner from the right saw Broadfoot peel off to find himself with all the time in the world to aim his back post header back across goal, but the alert Tait rose bravely to head the ball off the line at the last possible second. Both teams fought and scrapped in an end-to-end battle, carving out half chances until the hosts levelled things with five minutes to go ’til the break. Gathering the ball on the left, Jones drove at Tait before cutting inside and firing low at goal. Carson did brilliantly to tip it away, but Burke read the rebound to steal in at the back post and knock home the equaliser. That advantage would be doubled before the break. Stewart’s surging run against McHugh and Donnelly saw him twist and turn before finally settling on a shot from 25 yards which bounced beyond the dive of Carson. Killie started the stronger after the interval and were awarded a penalty of their own 13 minutes into the half. Donnelly left out his leg as Brophy surged through, leaving Don Robertson with no choice but to point at the spot. Brophy stepped up to extend the lead and he sent Carson the wrong way, slotting his penalty low to the left to make it 3-1. Danny Johnson and David Turnbull almost immediately replaced Tait and Bigirimana, as the Steelmen went on the offensive to get back into the game. Chances started to come. First Tom Aldred had a goalward header denied at close range from Turnbull’s corner, with the Killie defence alert to make the block. Bowman would be next to test the resolve, with MacDonald reacting well to gather another header at close quarters. A remarkable let-off for the visitors would follow. Stewart had time to get in behind down the right and drive inside. In the chaos that ensued, McHugh’s attempted clearance cannoned back off his own post and, as everyone threw themselves at it, the ball was thankfully cleared. Donnelly would later be taken off for Conor Sammon as Motherwell went with four strikers on the pitch. But it would ultimately prove fruitless, save for two attempts from distance from Johnson which amounted to nothing. Instead it was Kilmarnock who continued to look the more likely, with Carson being called upon late on to keep the score down. Motherwell travel to Rugby Park for their third game in the space of a week as they search for a return to winning ways. Following Betfred Cup heartbreak on Wednesday night, the Steelmen now face a tough task against Steve Clarke’s side. Following a stunning campaign in 2017/18, Kilmarnock have managed to string together a fine start to the new season too. In the Ladbrokes Premiership, they have only suffered defeat against the two sides from the capital, Hearts and Hibernian, and find themselves one point behind second placed Rangers. The Ayrshire outfit may have lost two in their last four matches, but their heaviest league defeat has only been by a single goal this term. Against league leaders Hearts, Killie lost 1-0 before being on the wrong end of a five goal thriller against Hibs. They may have won two out of three matches against Motherwell last season, but Killie have not had the strongest run against the Fir Park side on their own turf in recent years. 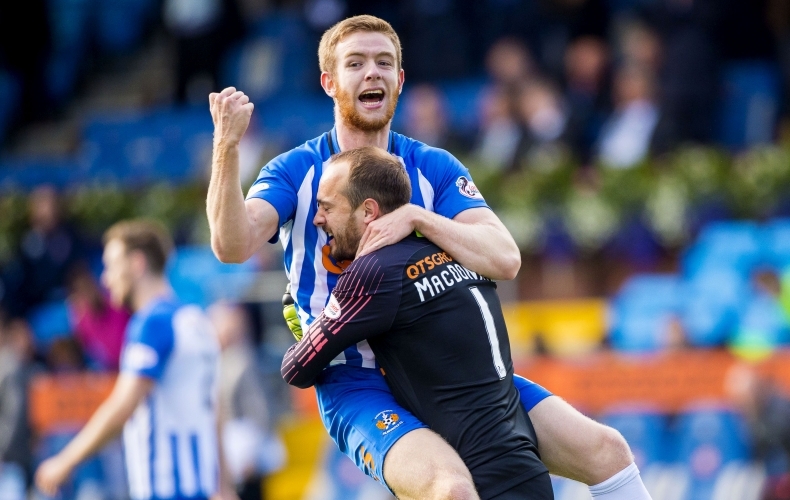 In the last five matches in Kilmarnock, ‘Well have won four and Killie once, but manager Steve Clarke has a perfect record against the Steelmen in his two games. And Stephen Robinson’s men are certainly in for a tough encounter as they bid to get back on track in the Ladbrokes Premiership. Richard Tait is confident that results are just around the corner for Motherwell after suffering cup heartbreak on Wednesday. The defender is hungry to get back in to action just three days after the trip to Tynecastle. But with Kilmarnock at Rugby Park up next, Tait is expecting a difficult game.